Two distinct Chinese art disciplines are on show at the Liang Yi Museum in a special exhibition titled, “Ink and Wood: Modern Chinese Paintings in the Scholar’s Studio.” The exhibit will bring together 24 exquisite modern Chinese paintings from a private collection, as well as a total of 240 objects from Liang Yi Museum’s classical Ming and Qing dynasties antique collection. The exhibited artefacts in Ink and Wood: Modern Chinese Paintings in the Scholar’s Studio are rendered as both mutually exclusive and as interconnected components spanning Chinese art history. 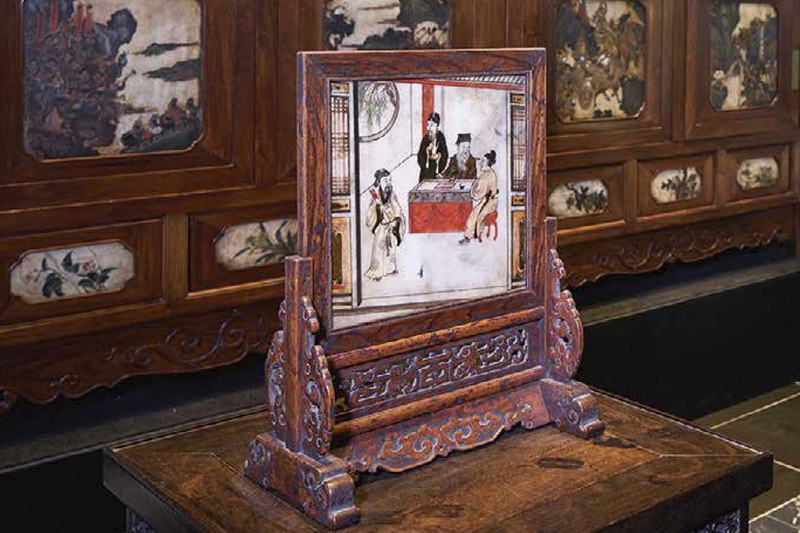 This inter-disciplinary exhibition not only juxtaposes classical Chinese furniture alongside modern Chinese paintings with references to history, but it also provides visitors a chance to explore the artistic traditions of furniture making and ink painting.